As its being hushed in Nigeria polity and diplomatic quarters on the new changes and expected reshuffle of the principals leading our foreign missions ,we can’t help but mirror the services of the Nigeria acting high commissioner of Nigeria to Ghana and the impact she has made in the Nigerian community here. Her Excellency Mrs. Adekunbi Abibat Sonaike Ayodeji has done exceptionally well in defending Nigerians and interest of Nigeria in the amazing Nation of Ghana in the course of her duty so far. The humble, amiable and strong mother with a spine of steel proved that she is not an arm chair diplomat by moving round the nation of Ghana to interfere personally in issues pertaining to Nigeria, setting records straights, correcting misconceptions using her boundless wisdom in making the most of every situation via using them to strengthen the bilateral ties between the two nations regardless of who was found wanting. It would be recalled that a supposed Nigerian by the name Evangelist Vandal, 32 was arrested on the 9th of May 2016, for allegedly stealing a woman’s phone, and subsequently for unlawfully registering to participate in Ghana’s Election. Mrs. Sonaike Ayodeji and the Nigerian high commission wasted no time in conducting an investigation on the issue and debunking the false miss-representation of Evangelist Vandal as Nigerian. She briefed Journalists in Ghana at the Nigerian High Commission and advised them to be circumspect in their reports in order to avoid misleading the public, most especially as the Ghana general elections was drawing near and also advised them to be meticulous when reporting ,most especially issues relating to Nigeria. As a seasoned diplomat she perfectly understood the sensitivity of the subject and that clearing the air was very important because issues like this can lead to a group of people or nationals being targeted in a post election violence. She took a step further by sensitizing Nigerians in Ghana on their limits of social participation in Ghana society which includes totally staying away from their election “Nigerians in Ghana know that it’s not their right to vote in another man’s country, just like foreigners were not allowed to vote in 2015 presidential election in Nigeria” she said and today thanks to political maturity of Ghanaian’s the election came and went and was widely accepted as fair. The Fulani Herdsmen and Ghanaian Farmers Feud that led to loss of lives. Her Excellency Mrs. A.A Sonaike Ayodeji ‘s persistence in resolving this issue by visiting eastern region of Ghana severally earned her applauds from Ghanaians in the affected community, and even leaders of the Fula tribe in Ghana. When the feud between Ghana Farmers and Fulani herdsmen led to killing of seven of the Fulani herdsmen, The Acting High Commissioner did not waste time in leading a 4 man committee that traveled to Eastern Region of Ghana to engage the then outgoing Eastern Region Minister Hon. Antwi-Boasiako Sekyere in a dialogue to chart a path for peace and total resolution of the issue. She also revealed the efforts of the High Commission on the issue which inclludes putting in place a mechanism to identify herdsmen from Nigeria by registering them with consular identity and also enable local authorities to easily identify the defaulting herdsmen and bring them to book. She added there was need to engage in inter-regional dialogue with affected regions to prevent the issue from skyrocketing into crisis. She also proposed that in order to let peace prevail, herdsmen who are found culpable in letting their cows to destroy people’s farms should be made to pay compensation to the owners. She also commenced talks with other ECOWAS member countries where most of these herdsmen come from on possible resolution to the menace because Fulani as a tribe or group of people are not inherent in Nigeria alone, there are Fulani’s in almost every nation in West Africa. The CEO of Start in Ghana Group, Mr. Yahaya Alhassan, had to thank the Acting High Commissioner publicly for her motherly role by traveling across the regions to ensure the protection of the Fulani’s in the wake of high media persecution of them. He said the Fulanis have lived and worked in Ghana before independence and most are no doubt Ghanaians and it is unfortunate that they (Fulanis) are treated as Nigerians and foreigners “Media around the world have naturally been harsh and sensational when dealing with issues bordering on migrants or foreigners but I implore the Ghanaian media to be less sensational with Nigerian stories for there is the danger of putting innocent people at risk” Mr.Alhassan advised. The Acting High Commissioner took a decisive and bold step when she dissolved the All Nigerian Community Executives and handing back power to the community heads (Igbo, Hausa, Yoruba and South -South Community leaders) was exceptional after her due consultation with the stake holders of the ANC in a closed door meeting at the high commission in which she sampled opinion of the relevant personnel’s including members of the diplomatic envoy who were on ground before her coming . She did not hesitate in taking the bulls by the horn by calling the media and issuing a press statement that included the blueprint towards conducting a new election to elect new executives which is bound to happen soon. 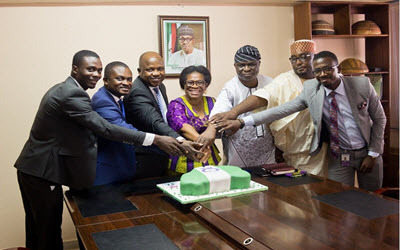 Mrs. Ayodeji when appointed High Commissioner of Nigeria to Ghana on acting capacity, inherited the in-house leadership issue which has lingered for some time. The leadership crisis almost resolved by Ambassador Onafowokan, took a dive south when the former president of the All Nigerian Community Ghana Mr. Owharo refused to relinquish power and was eventually accused to have doctored the constitution to retain his grip on it by some members of his executive. Nigerians being a multi cultural group of people with diverse behavioural patterns, influenced by their various socio-religious and tribal dissimilarities, it’s always a challenge for most leaders who lacks inter-cultural intelligence to understand the uniqueness of their diverse psyche and be able to lead them successfully as a group. This hurdle Mrs. Ayodeji jumped with ease by always opening her ears and heart to every Nigerian who calls on the chancery regardless of tribe and religious affiliation. Dissolving the executive of ANC -GH exempted her and the High Commission from all accusation of bias and set the course rolling for a new beginning in ANC-GH the highly prestigious umbrella organisation of all Nigerians in Ghana. The Acting Nigerian High Commissioner to Ghana, led the team of Nigerian Business Community in Ghana when they paid a courtesy visit to the Vice president of Ghana and also pleaded on their behalf for a waiver on the mandatory equity for foreign traders in the country. Under the laws of the Ghana Investment Promotion Centr (GIPC), all foreign prospective traders who come into Ghana to do business must have equity of US$300,000 before they can operate. The Nigerian business community wanted the law to be reviewed in their favour because the velocity of trade ,investments and business alongside the job opportunities it will create between the two nations will eventually benefit everyone “In the spirit of economic integration that both Nigeria and Ghana are promoting, being active members of ECOWAS, we wish to solicit your kind intervention in the waiver of the US$300,000 mandatory equity for all prospective traders, particularly Nigerians as stipulated by the Ghana Investment Promotion Act.” she appealed. Ghana’s Vice President Bawumia commended the presence of lots of Nigerian banks and businesses in the country which he said had expanded Ghana’s financial system and created jobs. “We don’t have a fear of opening up; I think that those interactions that we have between our economies only need to be deepened…what we really need to do from what President Akufo-Addo’s vision is, is to really push the ECOWAS integration project a bit deeper; we are hoping that in our time we will try to make some strides in that direction,” he assured the Acting Nigerian High Commissioner and the Nigerian Business Community delegates. In Mid 2016 Ghanaian Business exporters lamented the challenges of exporting some of their products to Nigeria which led to President Mahama’s appeal to Nigeria to open its market for Ghanaian exporters. She stressed that Nigeria’s import Prohibition List is not meant to discourage economic integration in Africa. Nigeria’s Prohibition List is as a result of realising that some of these products coming from abroad is not allowing the domestic ones to be patronised and are putting pressure on the locally-made goods. Also, most of these products do not meet the standard set up by standard boards. Most of these products could also be eating deep into our foreign reserve. So, it’s not totally out of place to put measures in place despite our focus on integration. She, however, expressed hope that a Nigeria-Ghana Joint Commission will go a long way in creating a platform where mutual agreement would be made in solving grey areas in Nigeria-Ghana bilateral relations, as such commission will feature Ministries, Departments and Agencies (MDAs) from both countries. “We are coming to the table to discuss issues that’ll economically benefit the two countries. With over 170 million population, Nigeria is regarded as an economically viable ground to any foreign investors. 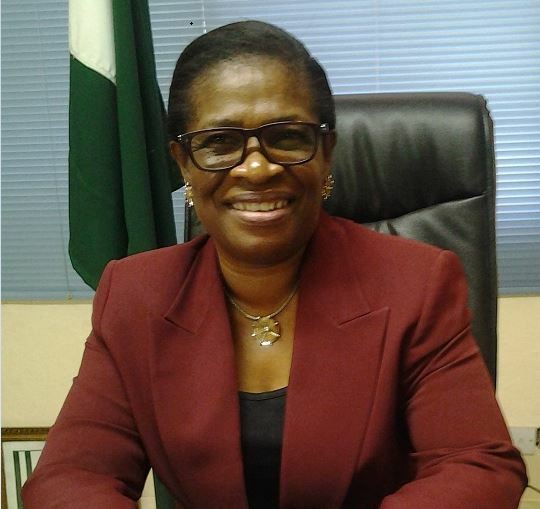 With no doubts Mrs. Adekunbi Abibat Sonaike-Ayodeji has utilized her wealth of experience in diplomacy to defend Nigeria’s bilateral interest in Ghana, having interfered successfully on all socio-economic issues that she engaged in an incomparable manner which upheld the national pride of both Nations. 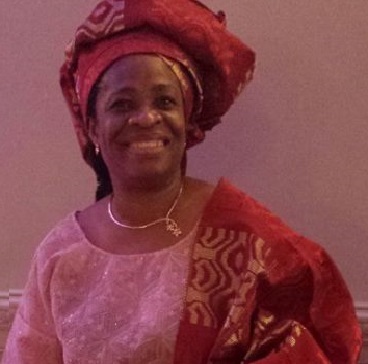 Married to retired Ambassador Okun Ayodeji, Mrs. Ayodeji studied political science at Obafemi Awolowo University Ife, prior to her coming to Ghana she was Director at Ministry of Foreign Affairs Nigeria ,and also Charge D’ Affaires Nigeria High Commission in Beirut Lebanon.